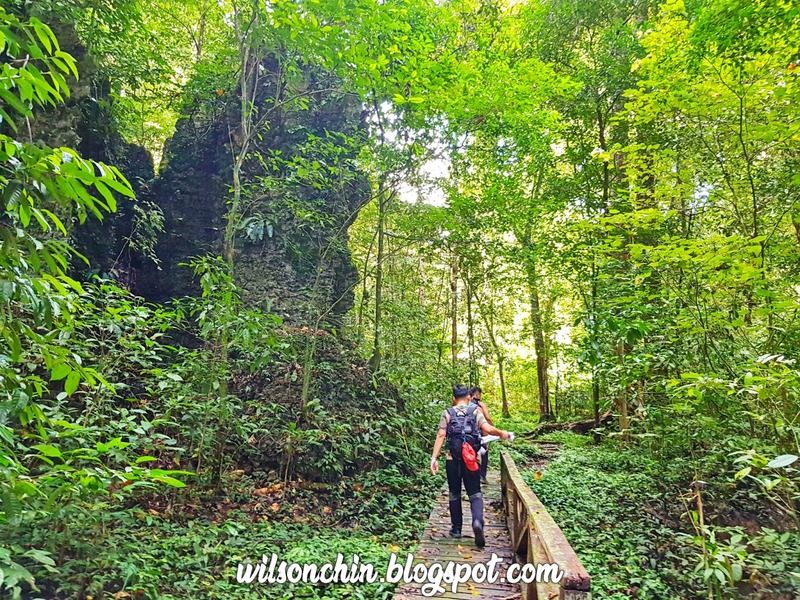 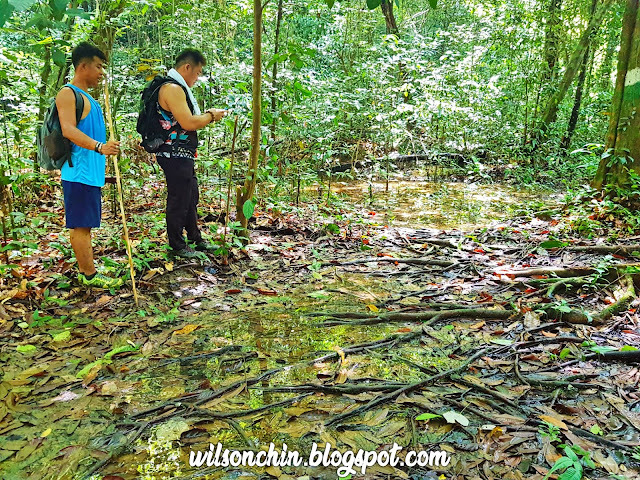 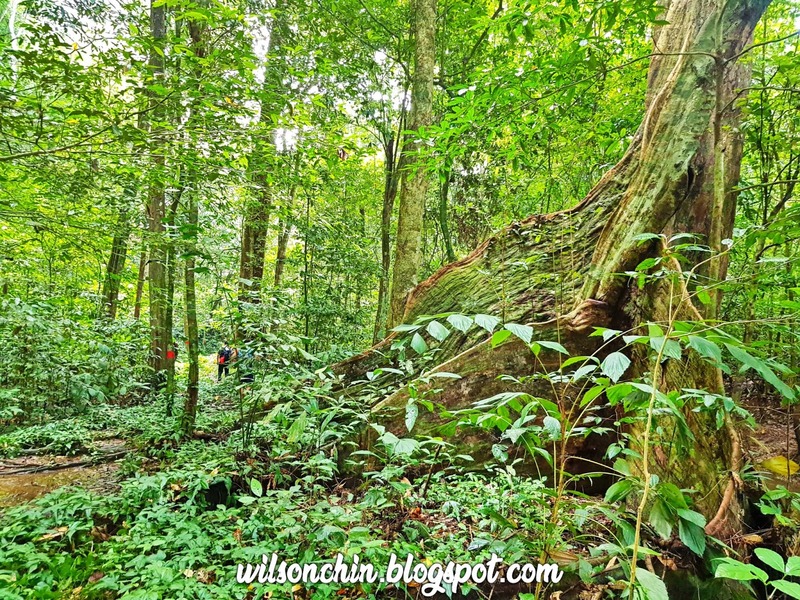 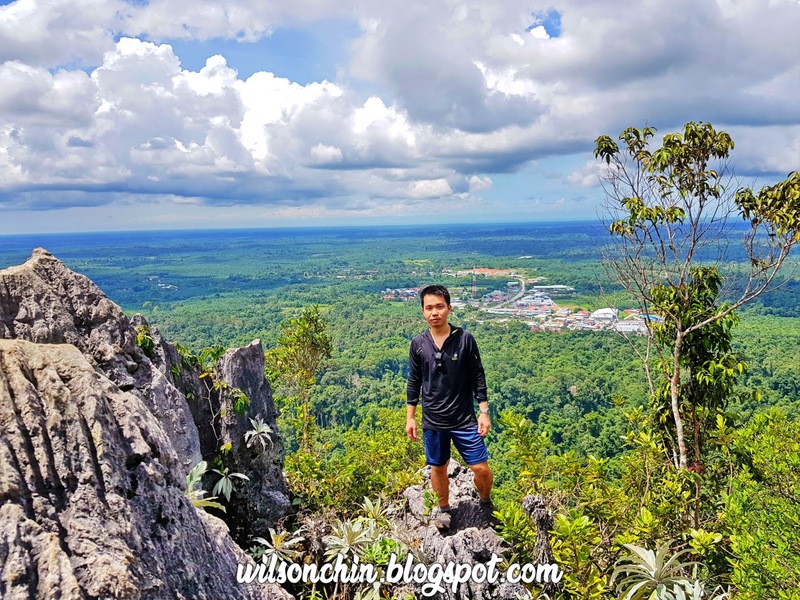 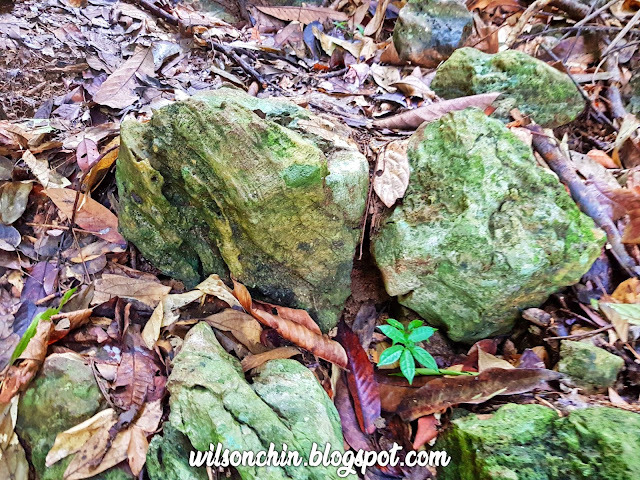 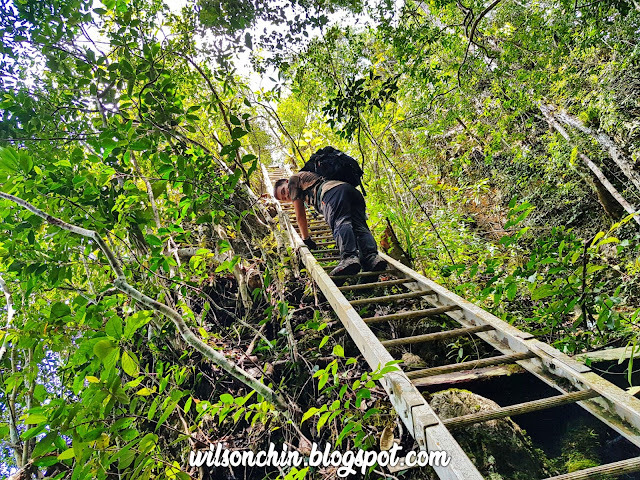 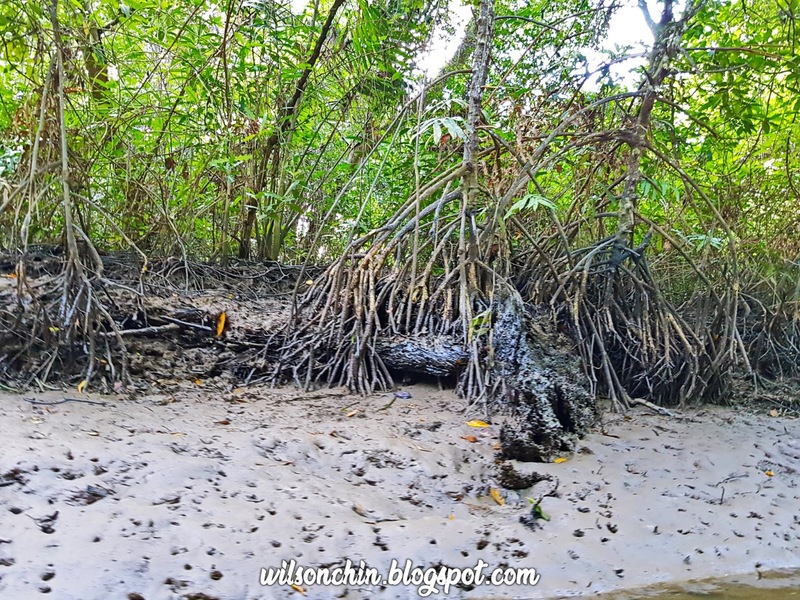 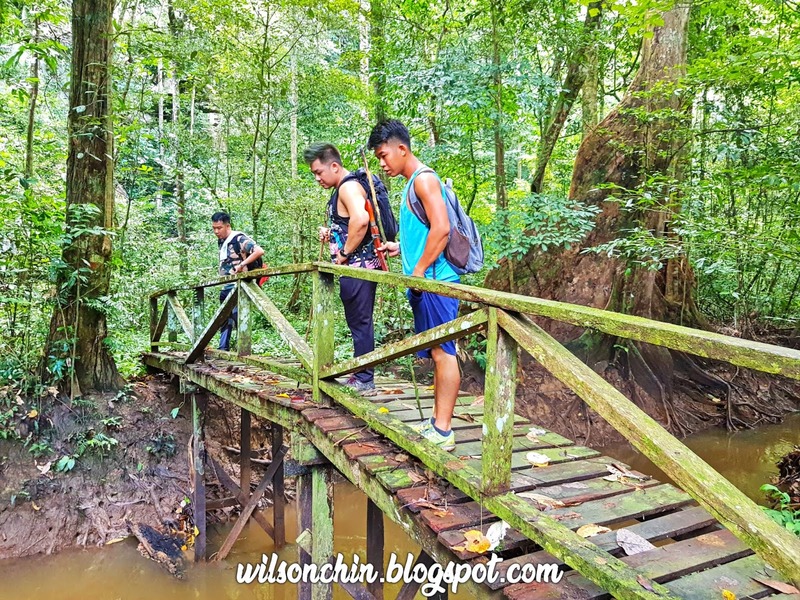 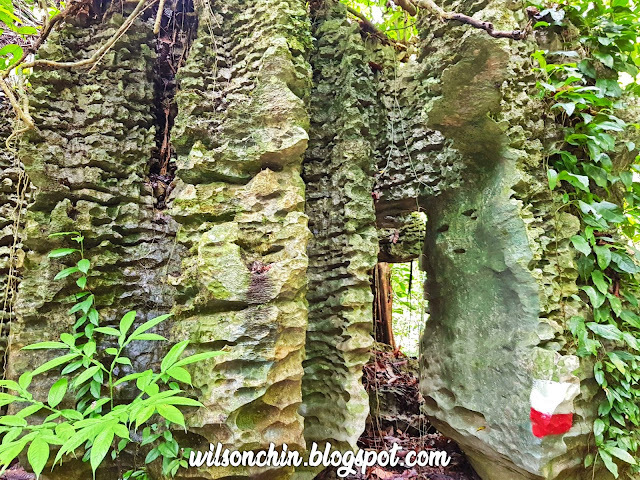 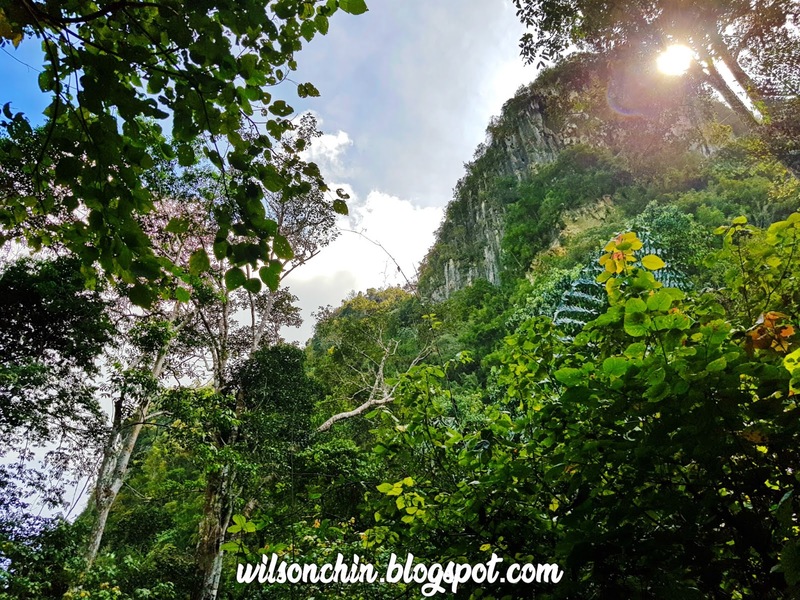 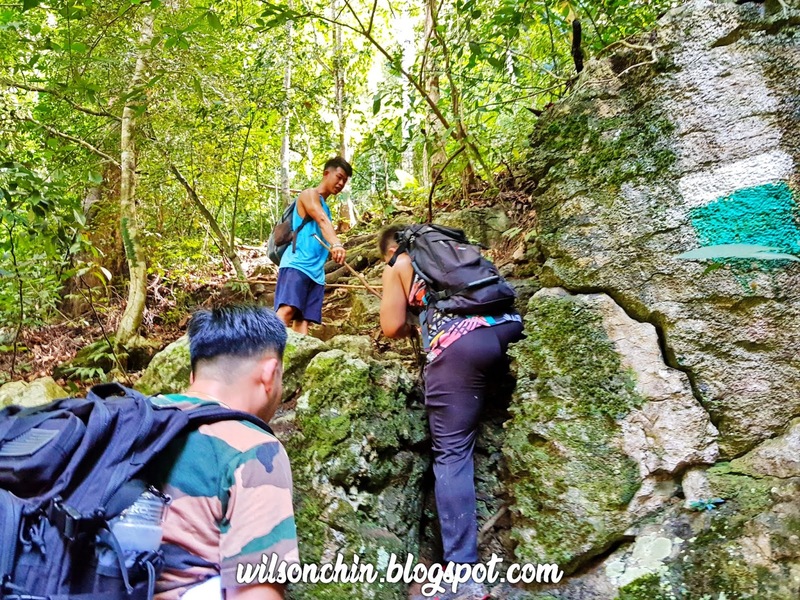 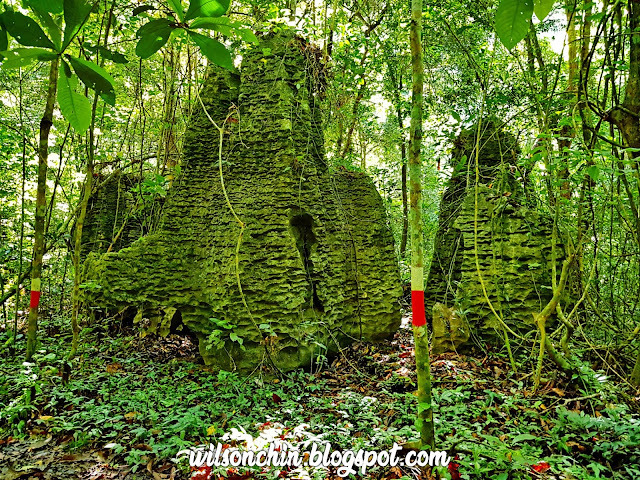 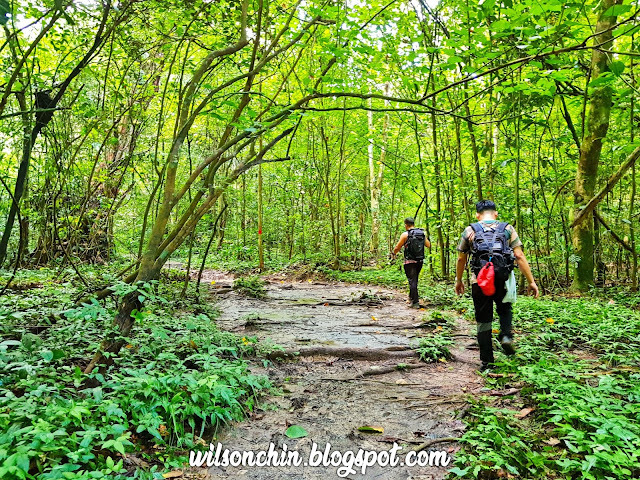 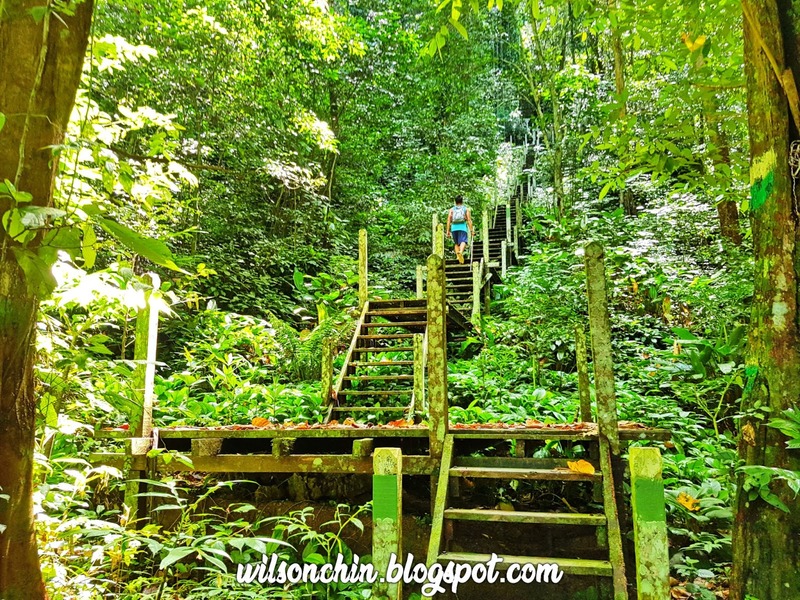 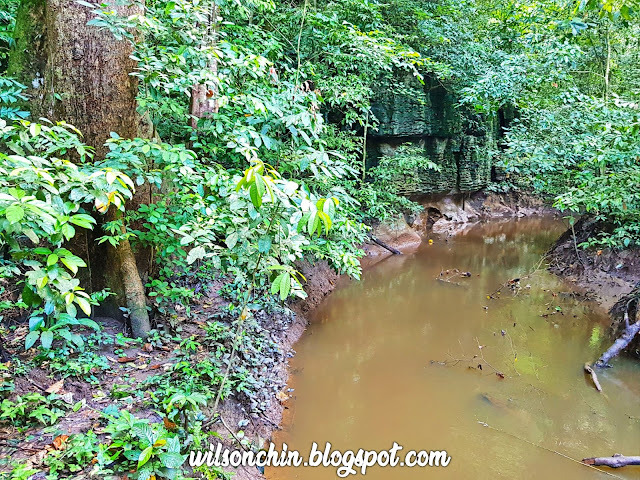 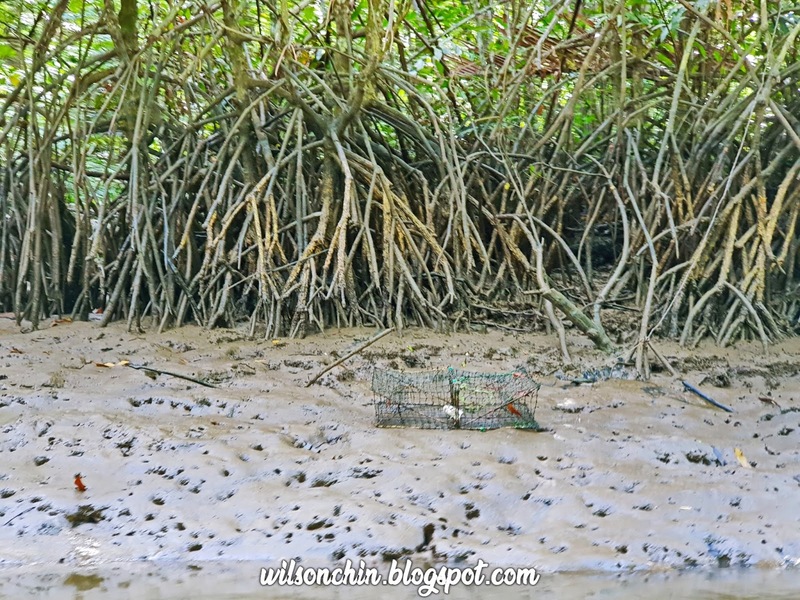 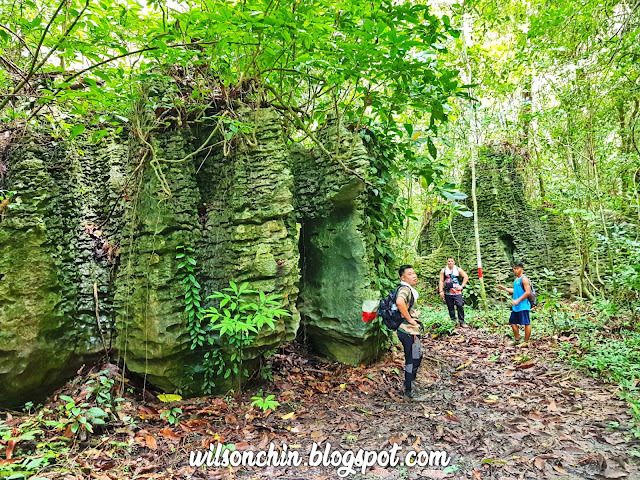 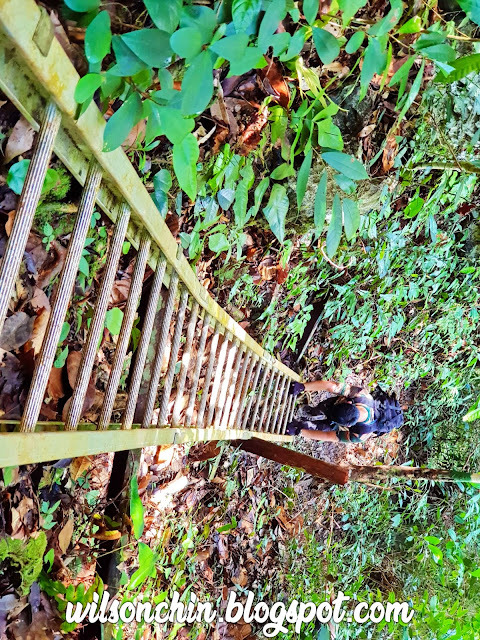 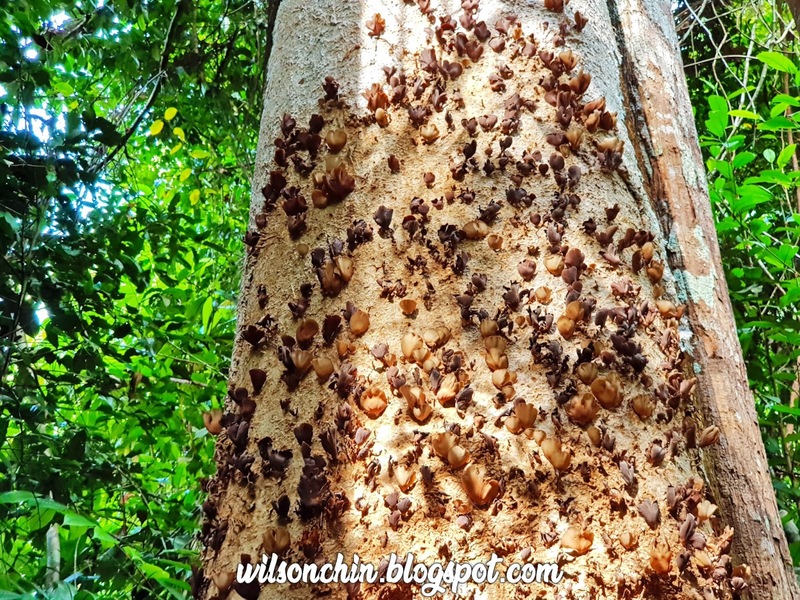 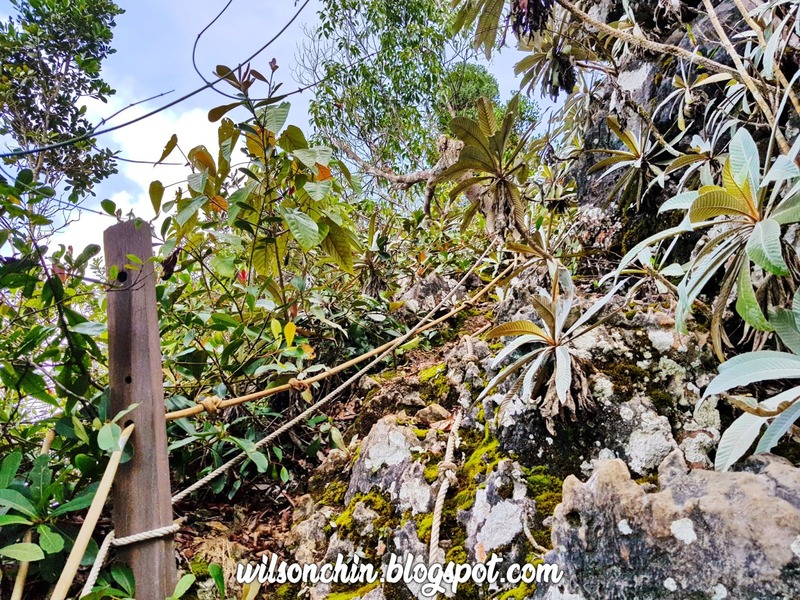 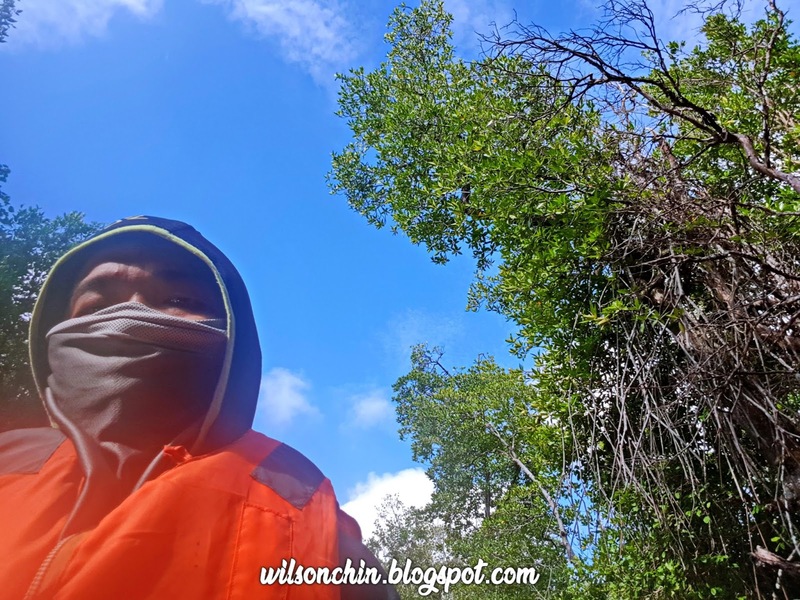 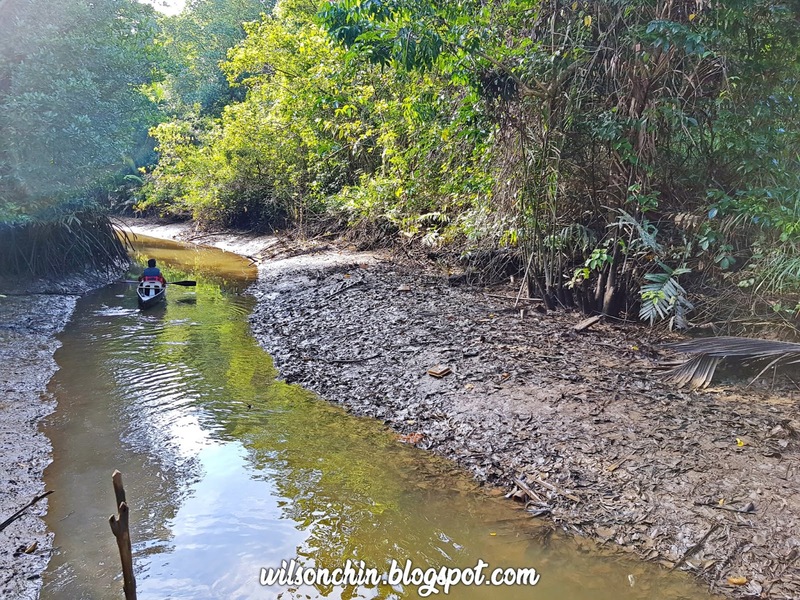 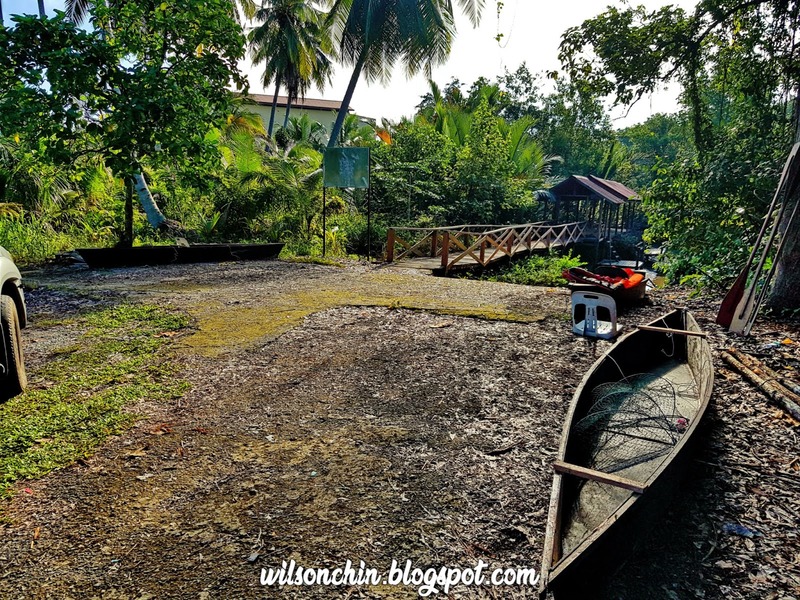 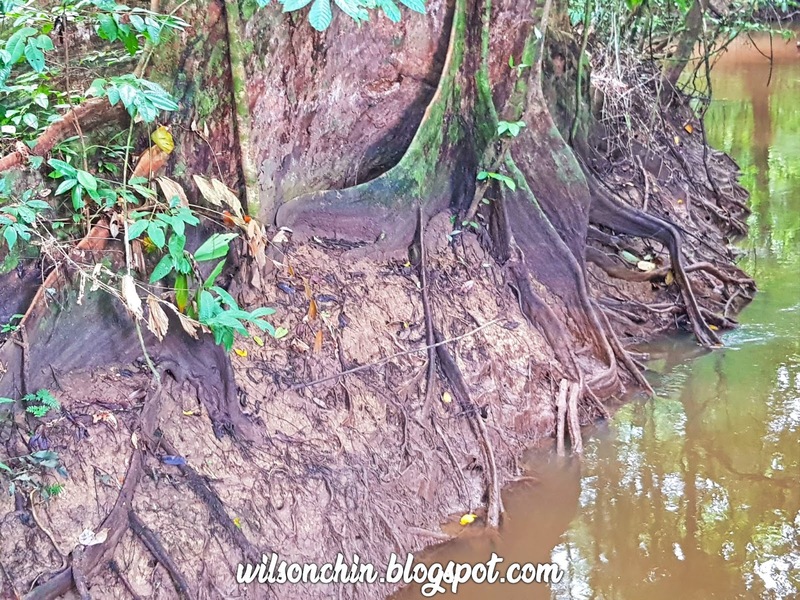 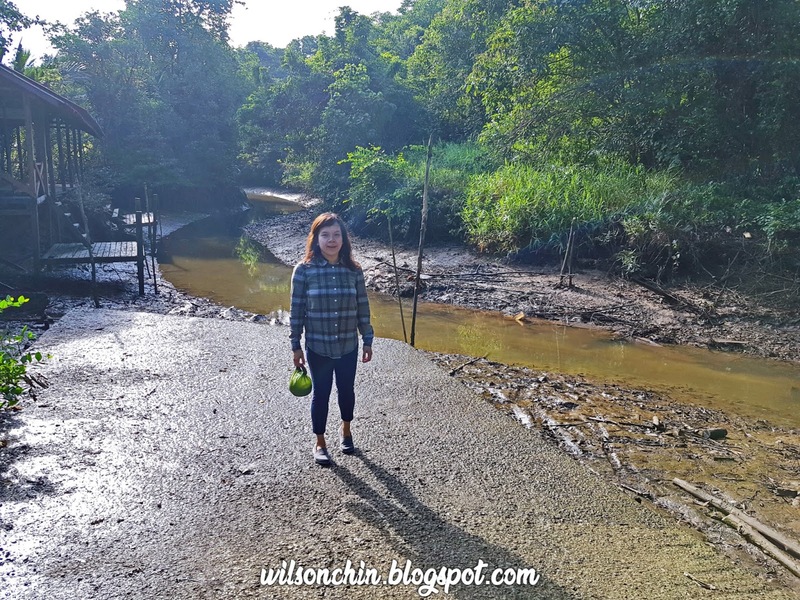 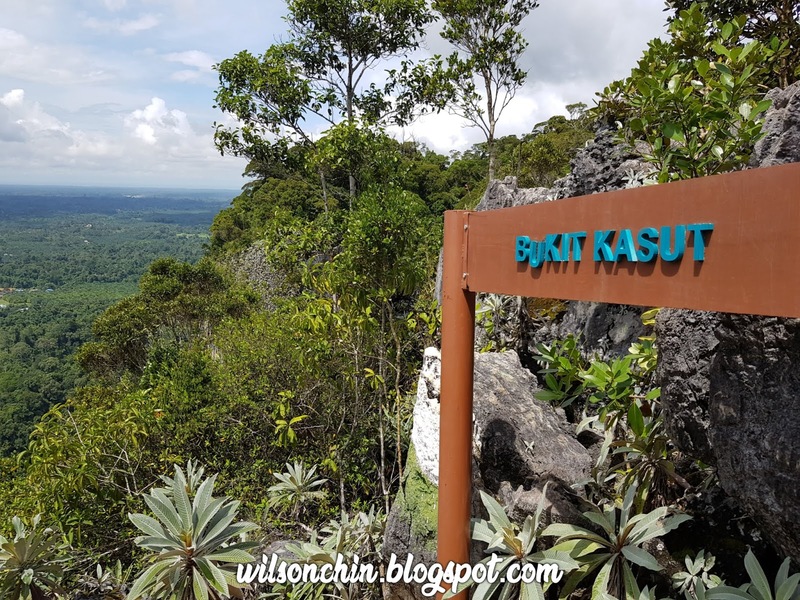 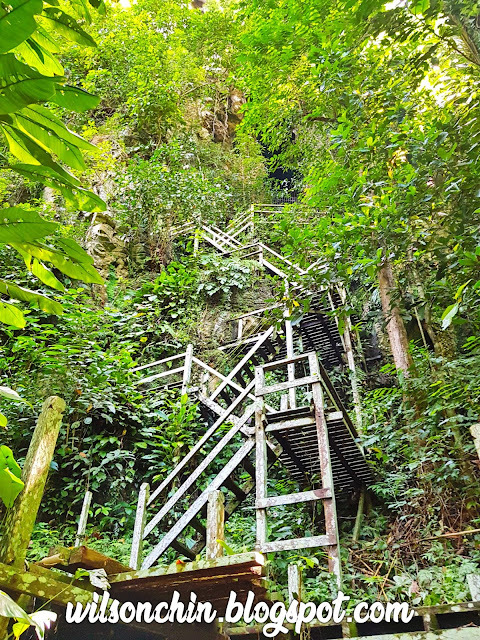 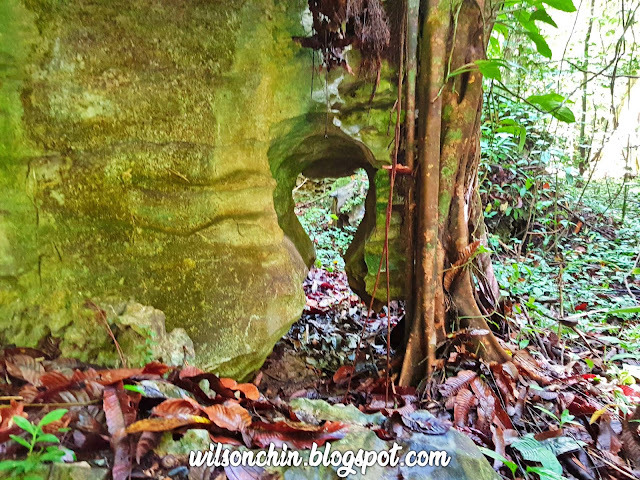 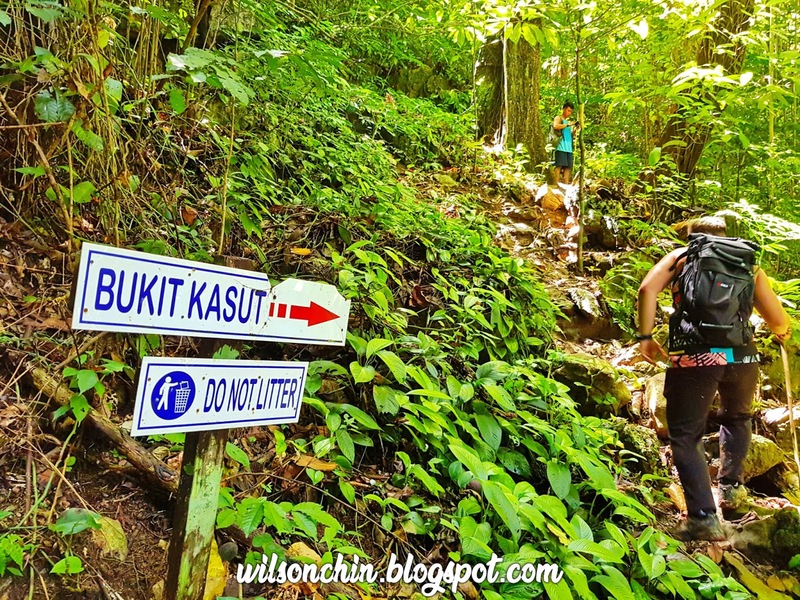 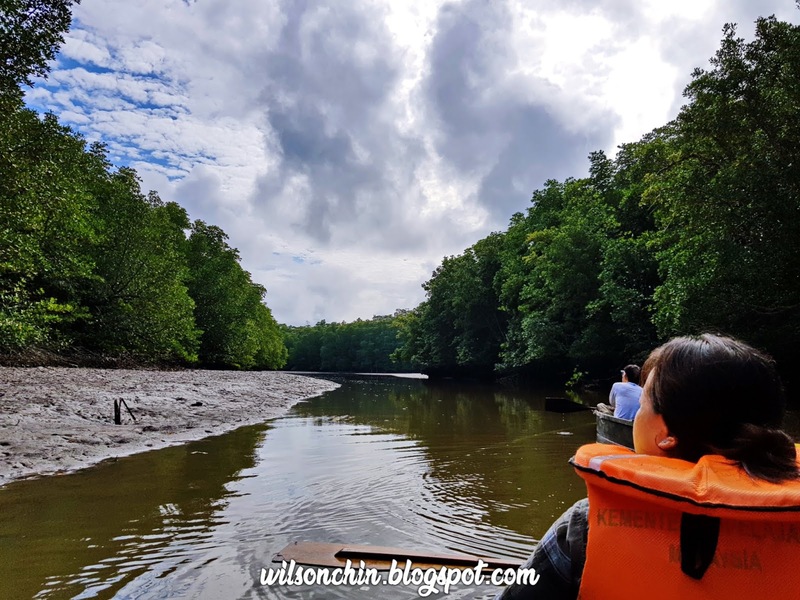 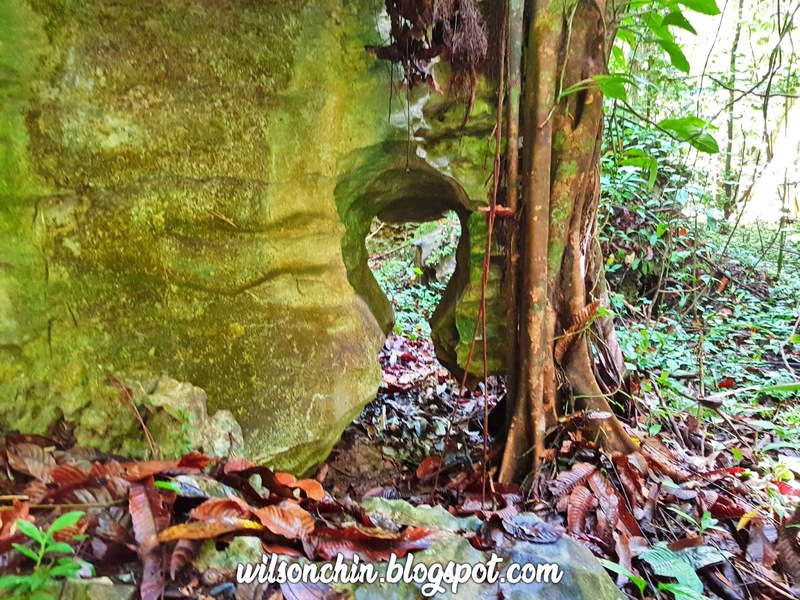 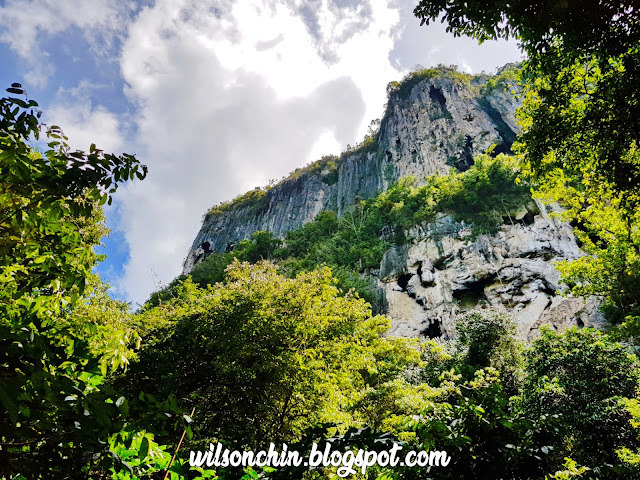 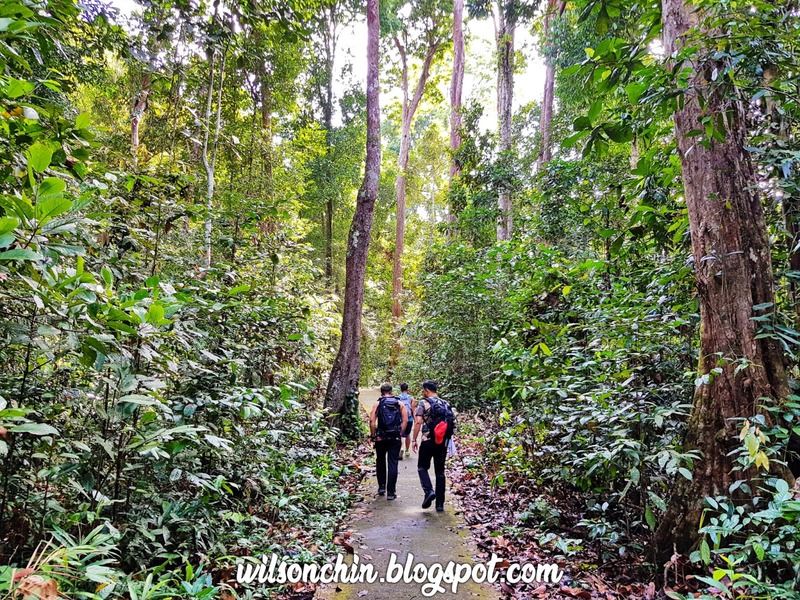 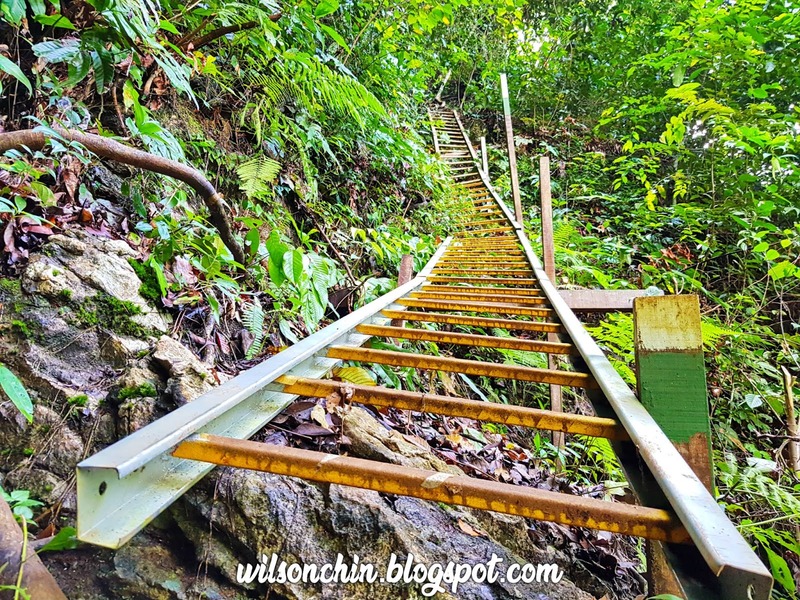 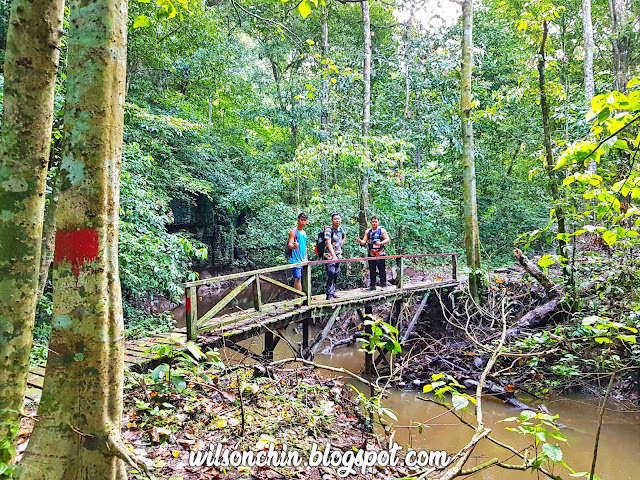 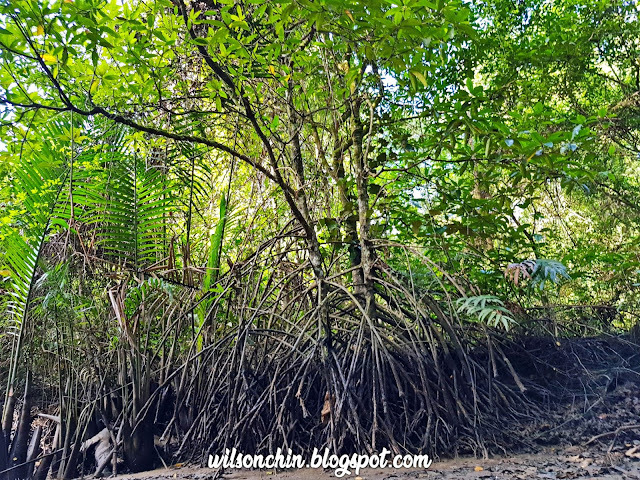 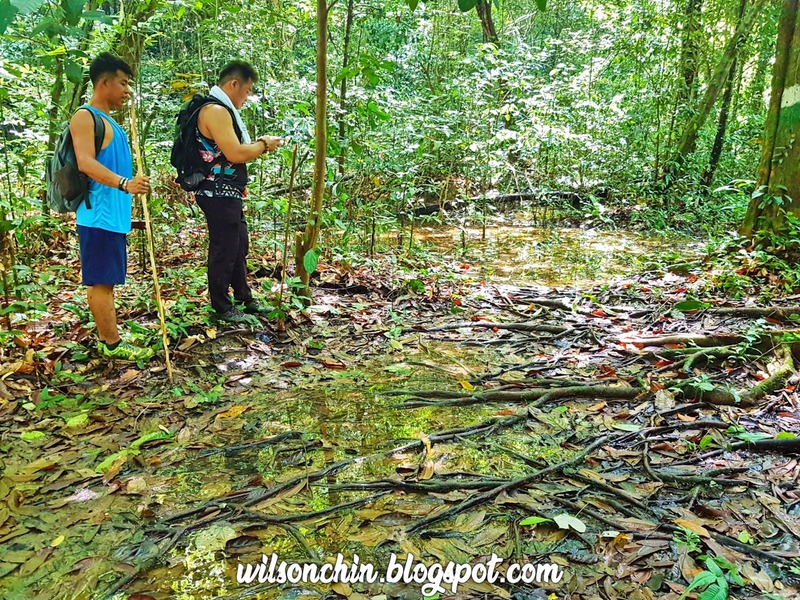 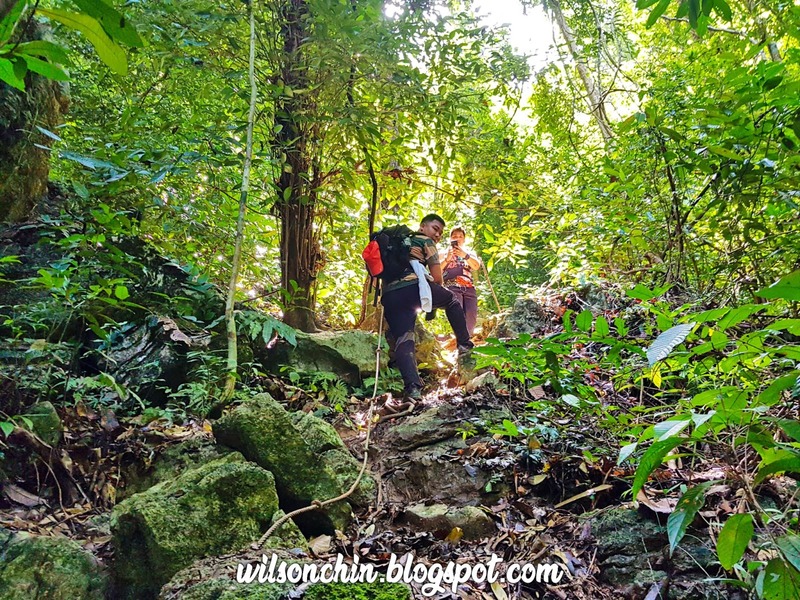 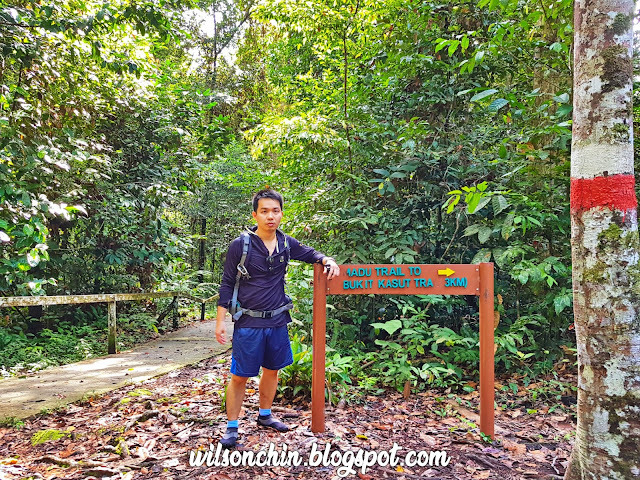 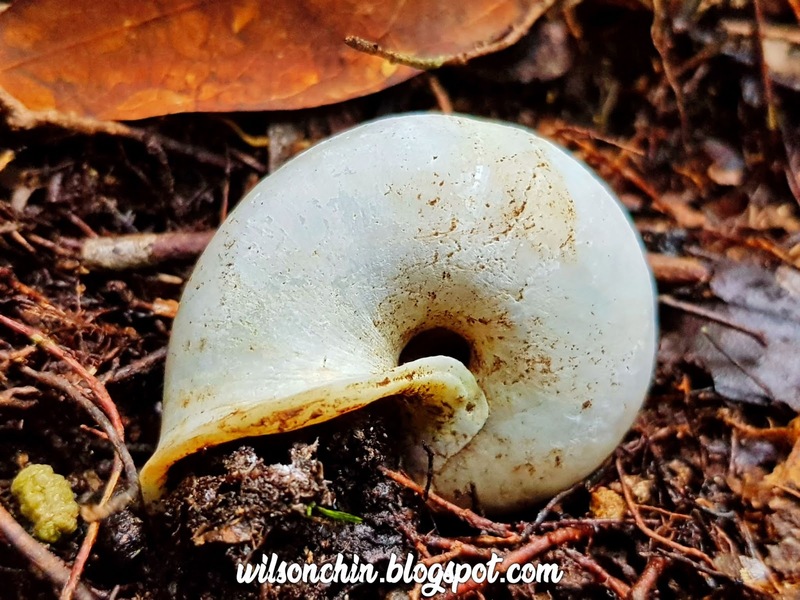 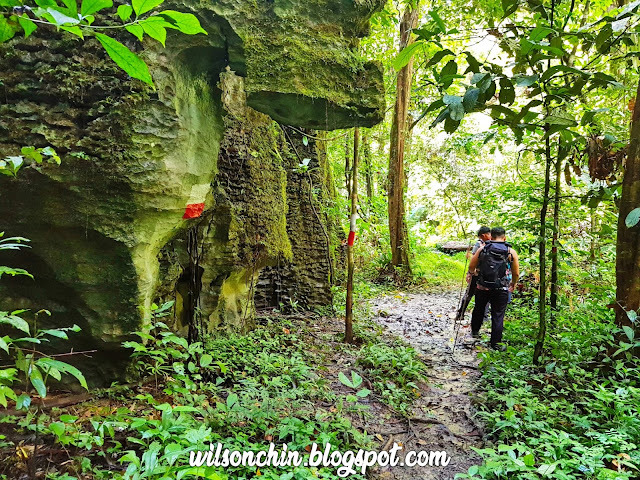 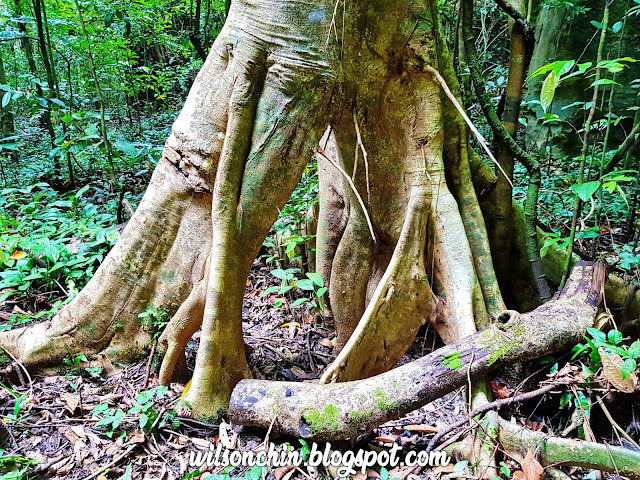 Limpaki is located close to Kampung Limpaki and about 15 km away from Limbang town.. Limpaki wetland is an estuarine wetlands where the Limpaki river meets the sea thus creating a mangrove swamp. 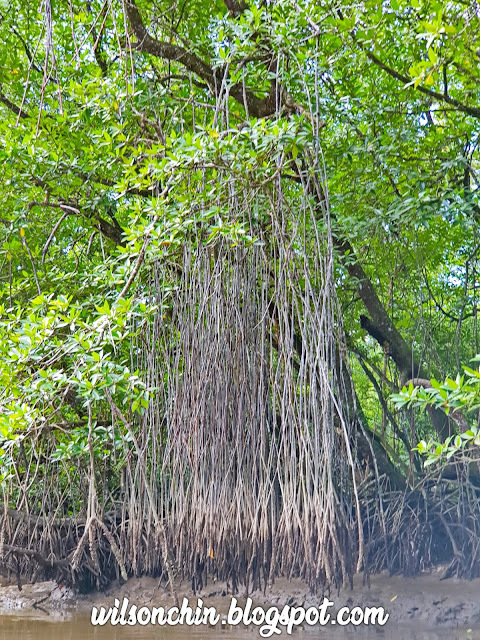 The mangrove forest is inhabited by mammals (proboscis monkey), snake (cat snake), reptile (crocodile), amphibian, birds (owl), and insects (firefly). 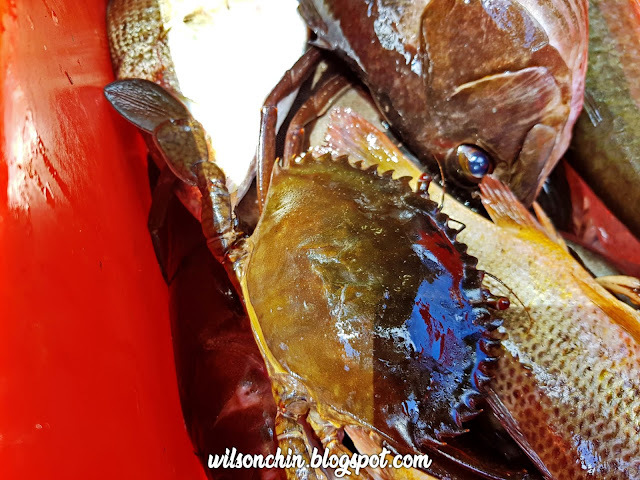 Its river teems with fish, prawn, crab and clam. 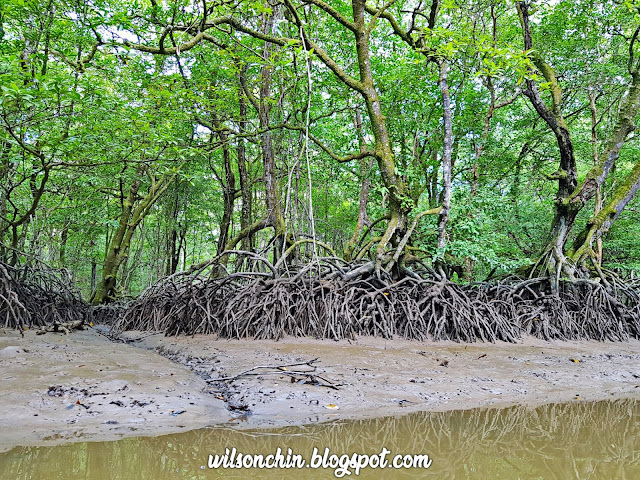 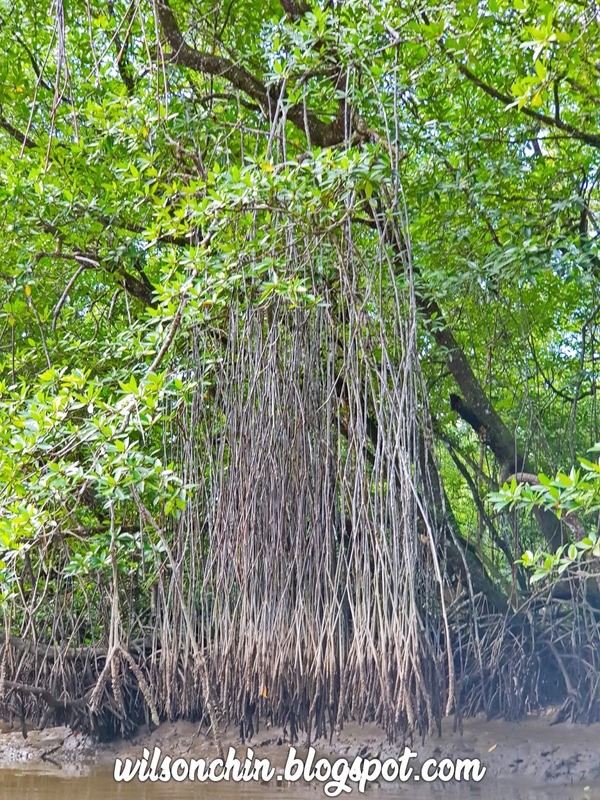 It also has many species of mangrove plants. 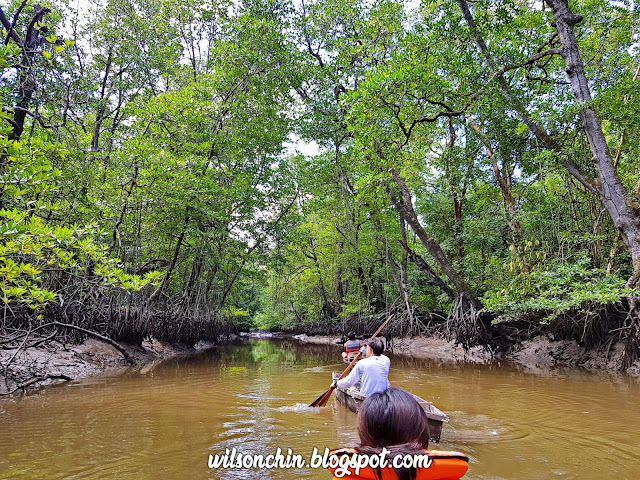 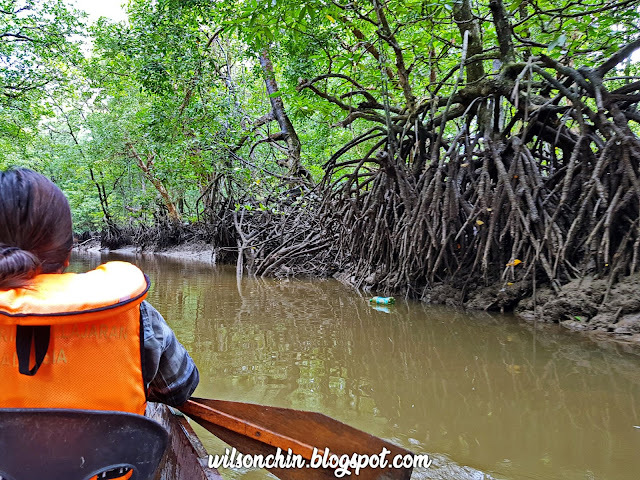 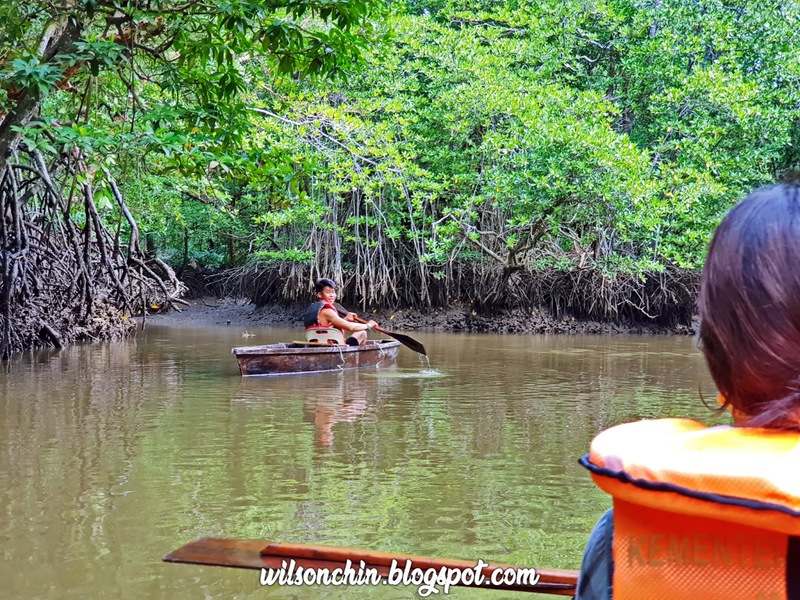 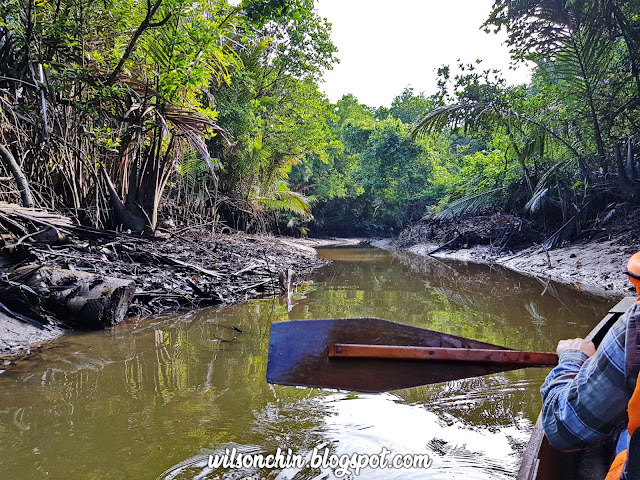 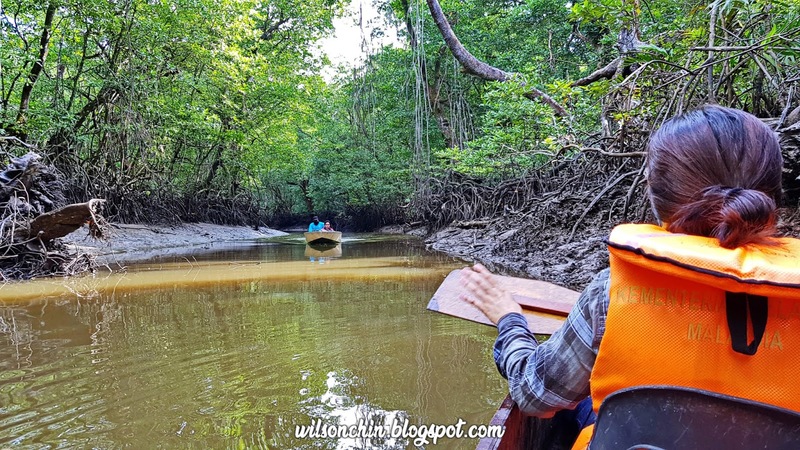 One of the best ways to absorb and enjoy the Limpaki mangrove forest is via canoeing. 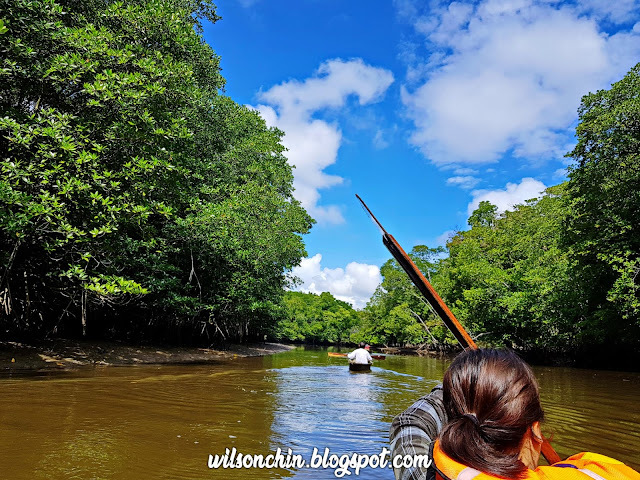 Unlike cruising by motor-boat, paddling does not make loud noise to scare away the wildlife and it is a good way to work out and be up close to nature. 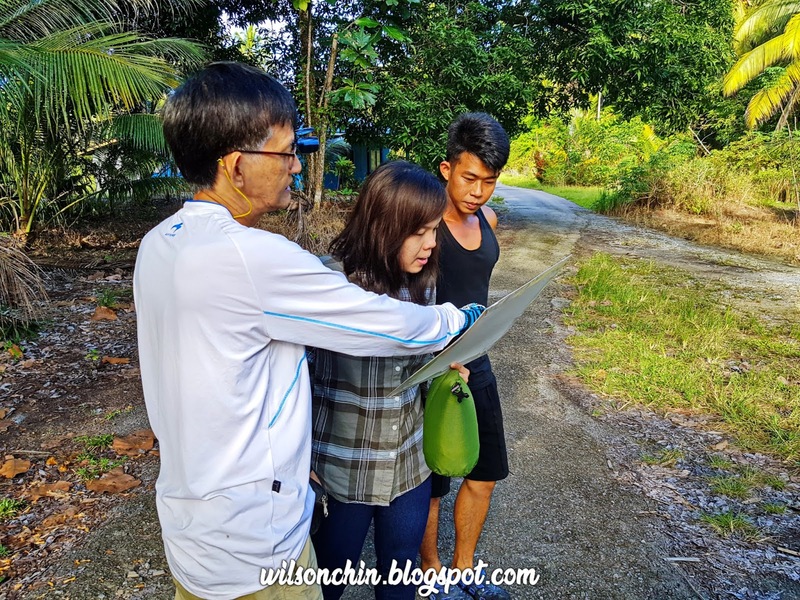 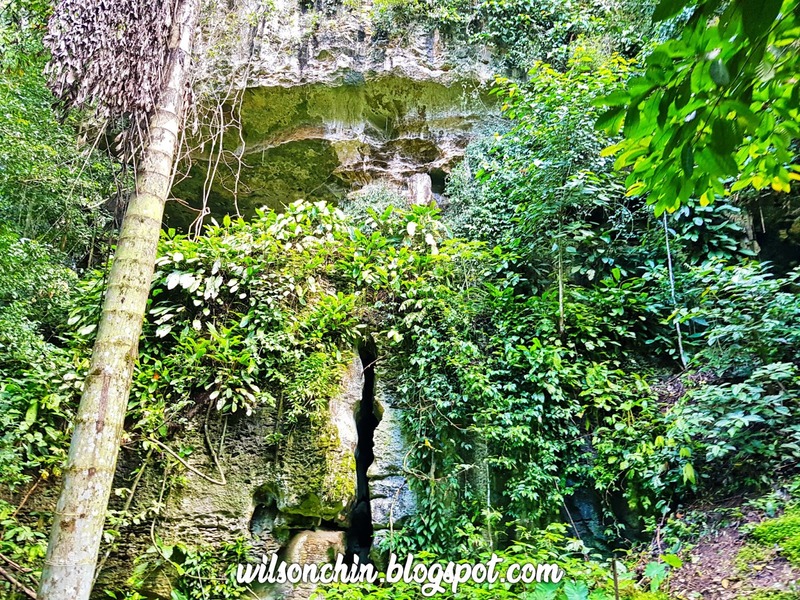 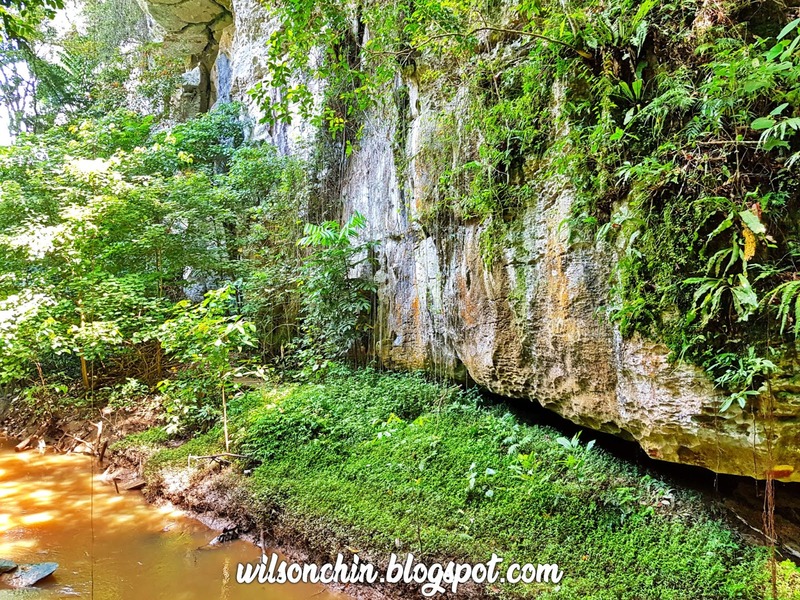 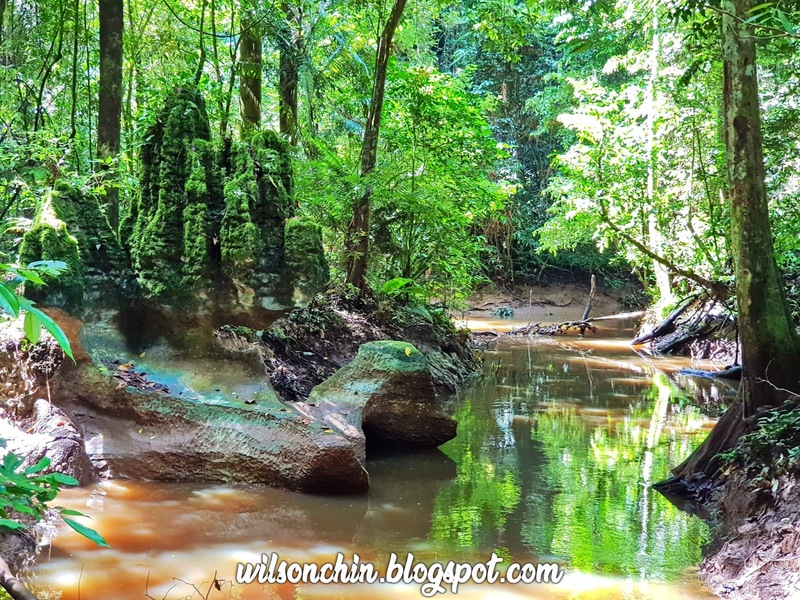 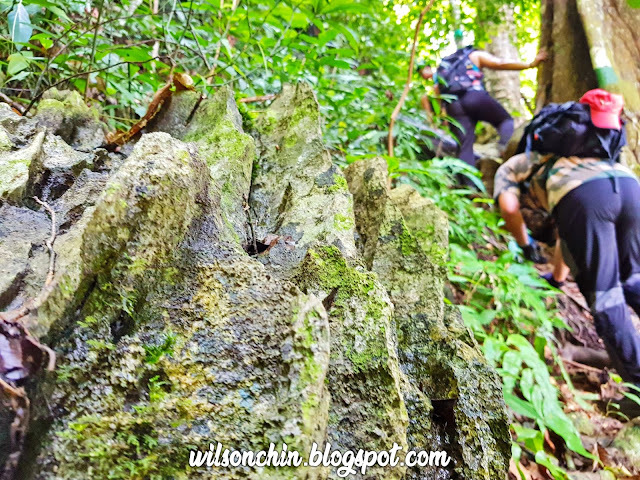 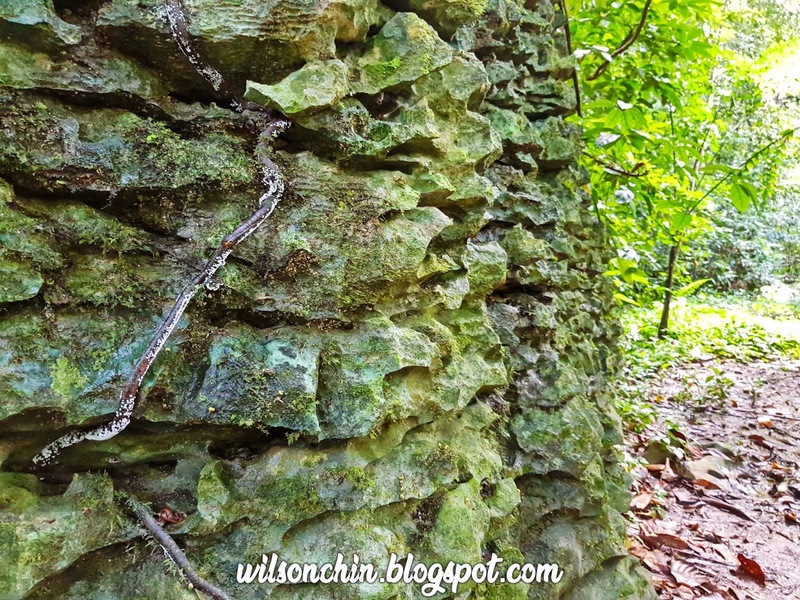 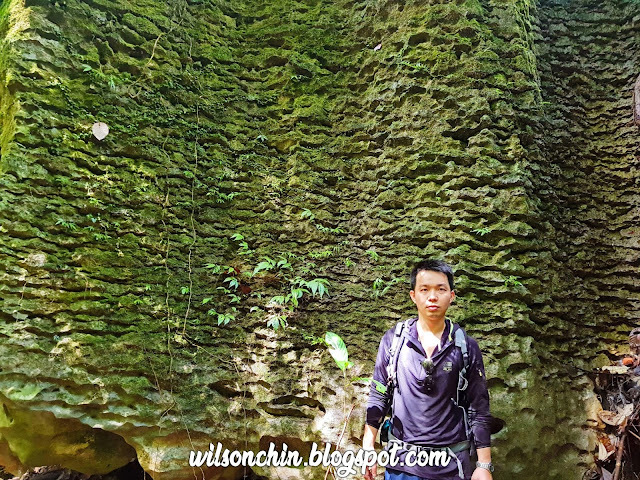 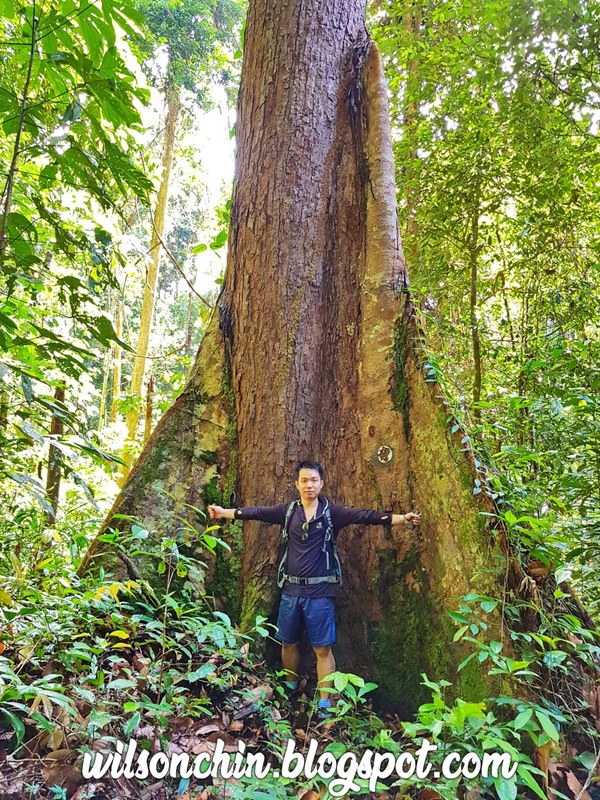 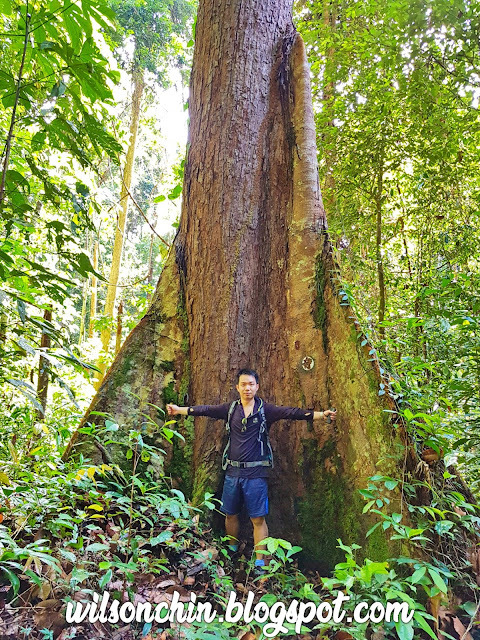 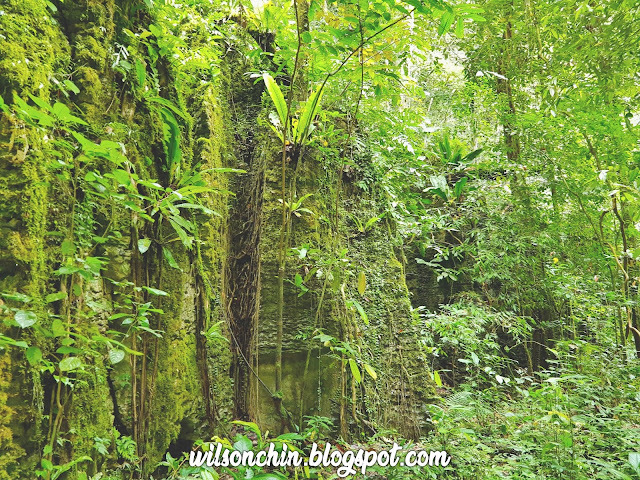 Clive Lim showing some of the attraction which we may encounter when we paddling along the riverbank. The place where we start to paddle our canoe, at the Kampung Limpaki. We unload the canoe into the riverbank, and need to walk on the muddy bank into our canoe, so get ready for some mud on your feet. That morning the water are shallow, as it was still low tide, I can see the river bed easily. With some small fishes swimming around. Beside wildlife watching we can also experience other activities such as to fishing and crab catching. 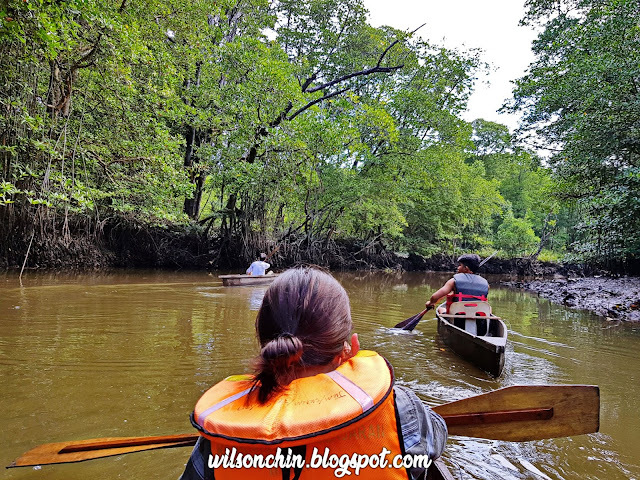 But we didn't try it, so we just canoe where the river takes us. I'm worry of sunburn, so have to cover up my face, and my arms. 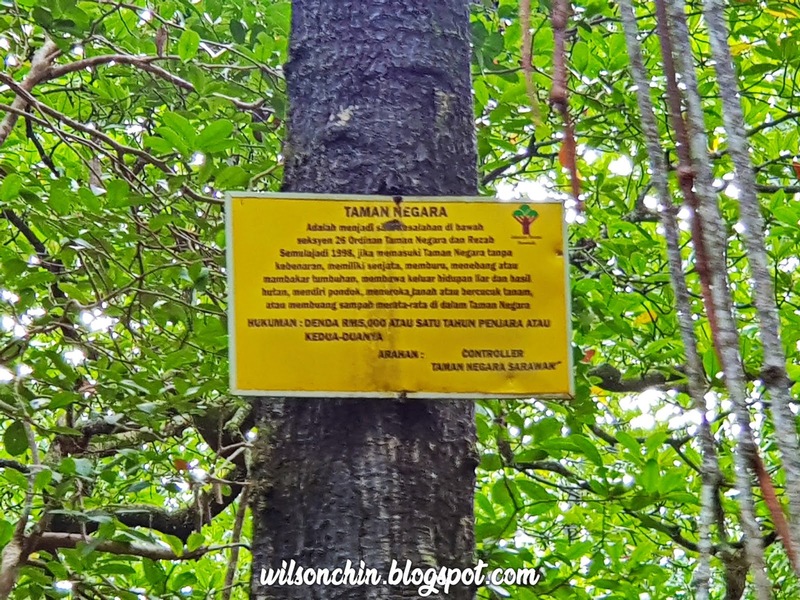 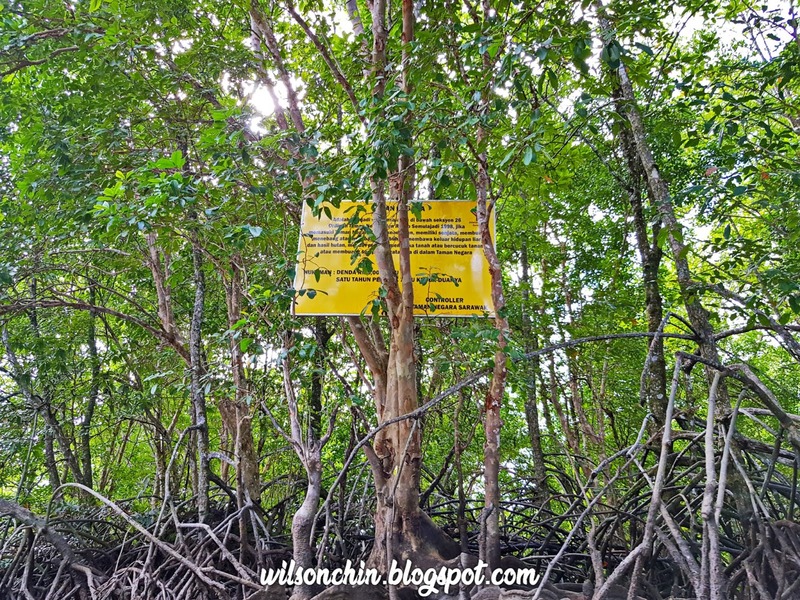 A signboard indicates that this area is a protected national park, therefore no hunting, no chopping down the mangrove trees. 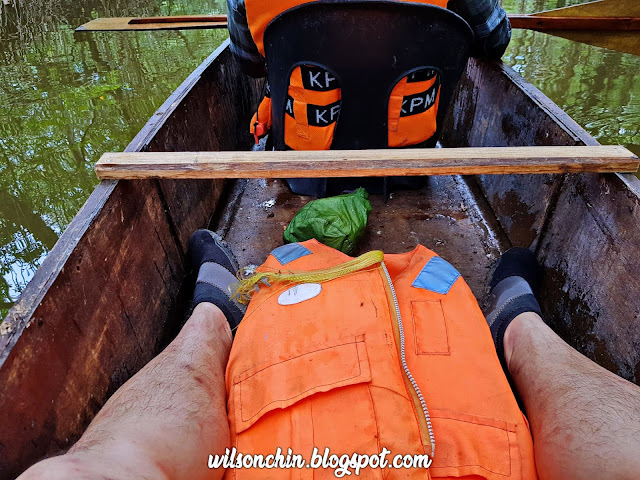 The weather was too warm until I have to take off my life jacket, I know how to swim, so I guess its ok to do so. 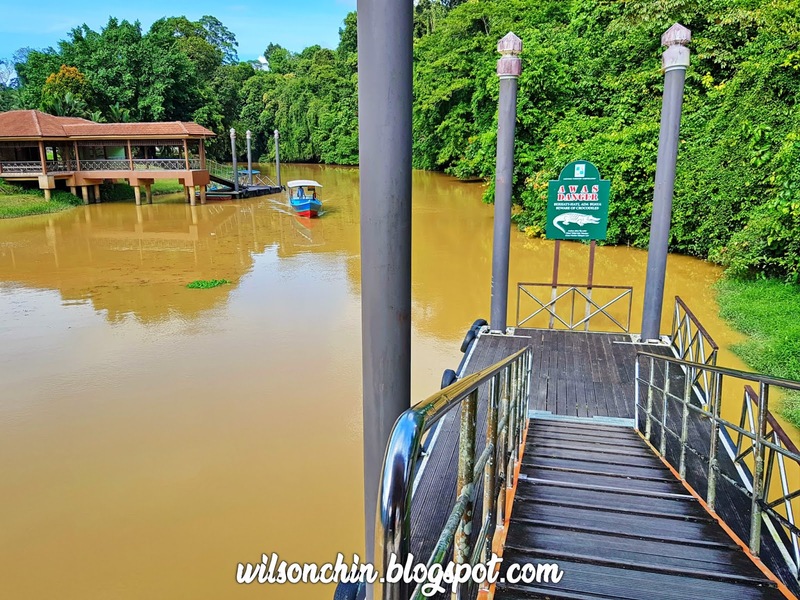 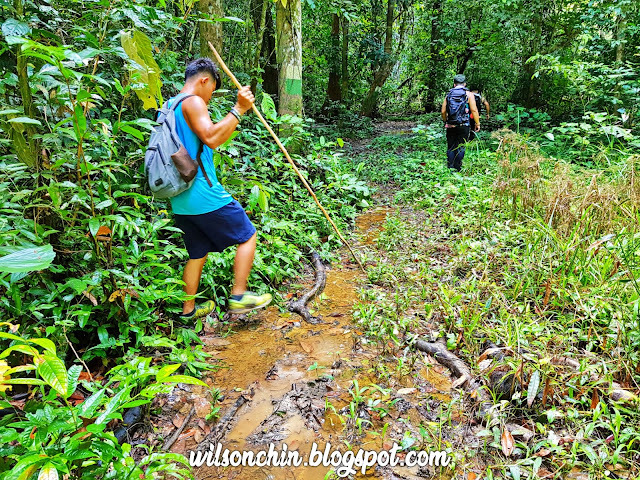 Slowly paddling into a bigger river, and this river will eventually lead all the way to the Limbang/Brunei border, and we can paddle into the Brunei territory, but that's illegal trespassing, not recommended. 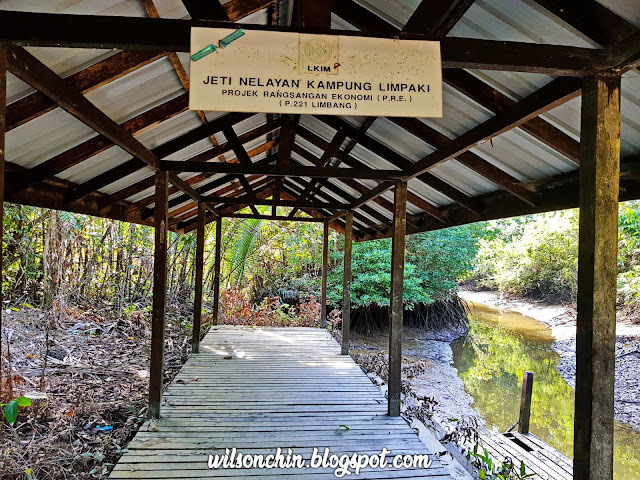 After that, we slowly paddling where we started, back to Kampung Limpaki. 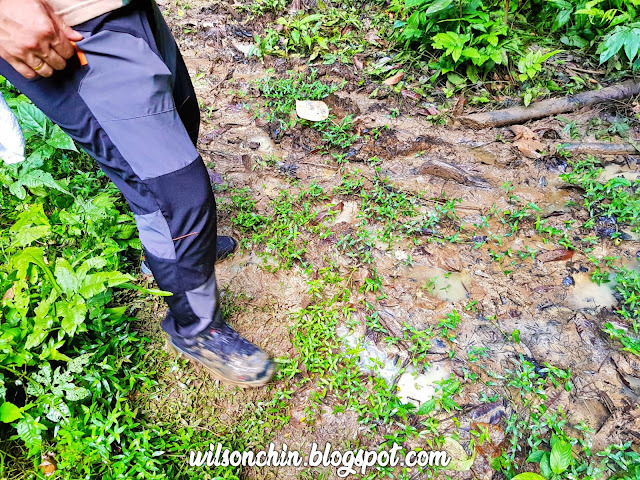 And now the water level had raises, the muddy water makes it impossible to see underneath the riverbed. 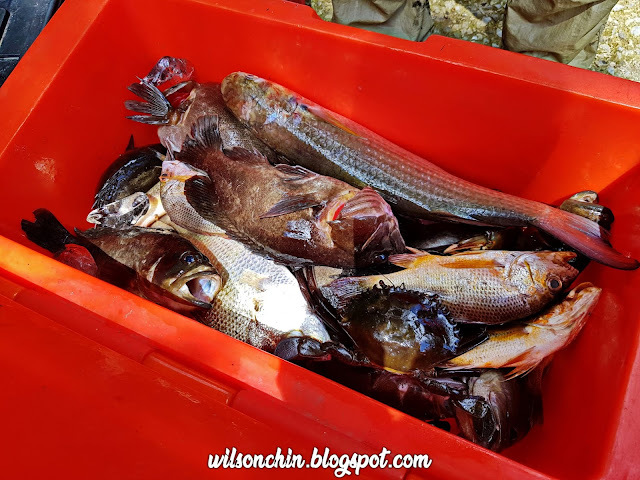 A fisherman showed us his catch, he spend a night at the river. 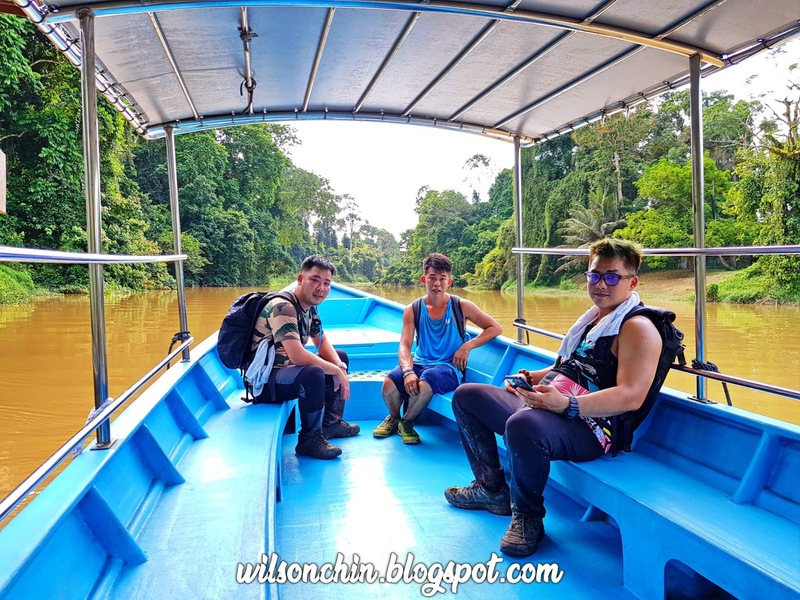 That's the end of our trip, overall its was a fun trip, I highly recommend you go for it when your at Limbang. 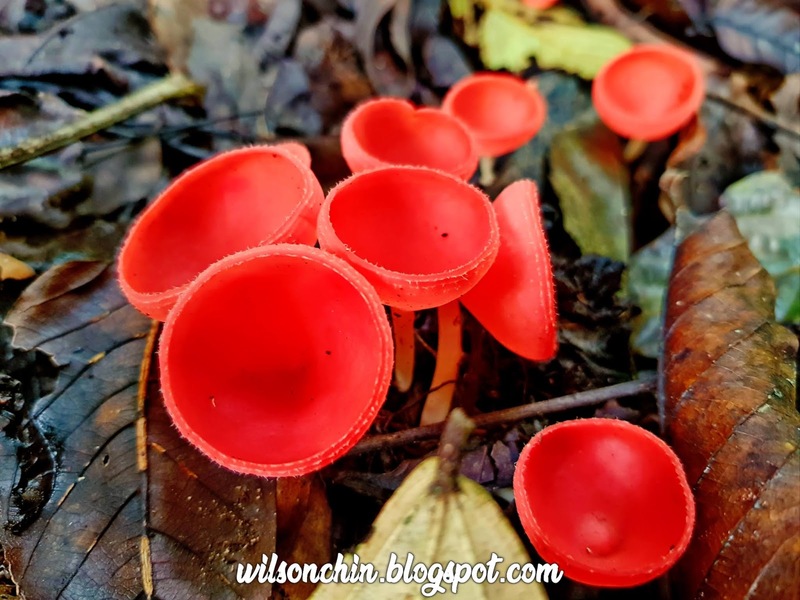 Till next time, see you in my next post.